William “Bus” Jaco, Regents Professor and head of the department of mathematics in the College of Arts and Sciences, received a top honor as Oklahoma State University recognized the achievements of faculty, staff and administrators during the University Awards Convocation Wednesday at the OSU ConocoPhillips Alumni Center. Jaco was selected for the Eminent Faculty Award, which recognizes the highest level of scholarly achievement at OSU. Jaco is recognized as a national expert for improving student success in entry-level math courses and he is currently leading initiatives to help mathematics instruction throughout the state and to increase diversity in math programs. 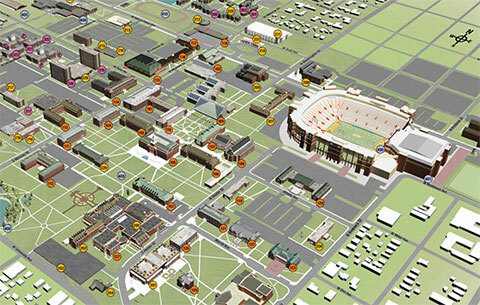 At OSU, Jaco’s achievements include the development of a new Learning Success Center, an 11 percent decline in those who dropped, failed or withdrew from math classes and a record enrollment in classes beyond calculus at OSU. Jaco continues to pioneer in mathematics. He is a fellow of the American Mathematical Society and the American Association for the Advancement of Science. OSU annually selects individuals who are nominated for service awards, which recognize those who quietly go about their duties while giving so much above and beyond their assigned responsibilities and make a notable difference in their units and to OSU as a whole. Honorees for the 2017 University Service Awards included Lisa Fain, director of business operations, Spears School of Business in the administrative category; David Jones, herd manager for the Ferguson Family Dairy Center, Department of Animal Sciences in the staff category; and Udaya DeSilva, associate professor of Animal Science, Division of Agriculture and Natural Resources in the faculty category. 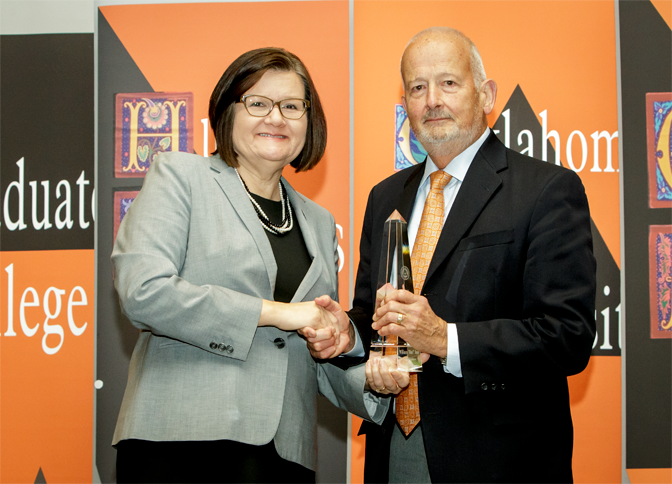 Also recognized were the Department of Nutritional Sciences in the College of Human Sciences and the Chickasaw Nation, recipients of the C. Peter Magrath Community Engagement Scholarship Award presented last month by the Association of Public and Land-grant Universities. Chris Francisco, Professor and Associate Department Head of Mathematics in the College of Arts and Sciences, was recognized for being selected as one of ten faculty for the national Outstanding First-Year Student Advocate Award sponsored by the National Resource Center for First-Year Experience and Students in transition.